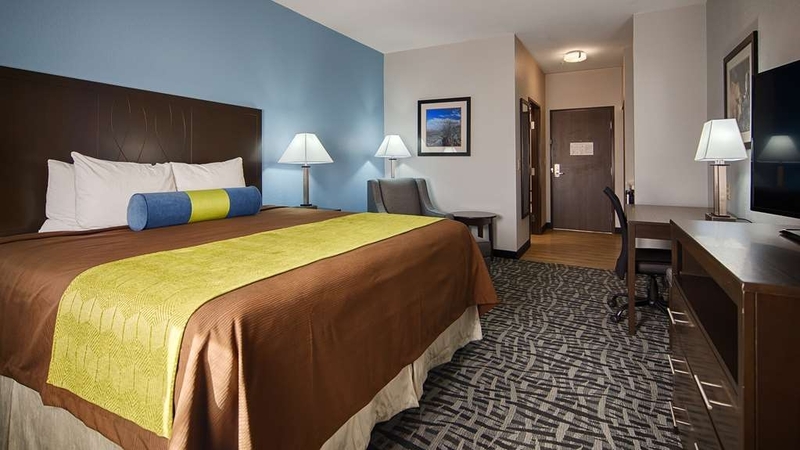 Das Best Western Plus Lonestar Inn & Suites ist ideal in Colorado City Stadtzentrum zu finden. Erleben Sie ein schöner Aufenthalt in der Nähe von alle Sehenswurdigkeiten. Bestpreisgarantie und exklusive Angebote. 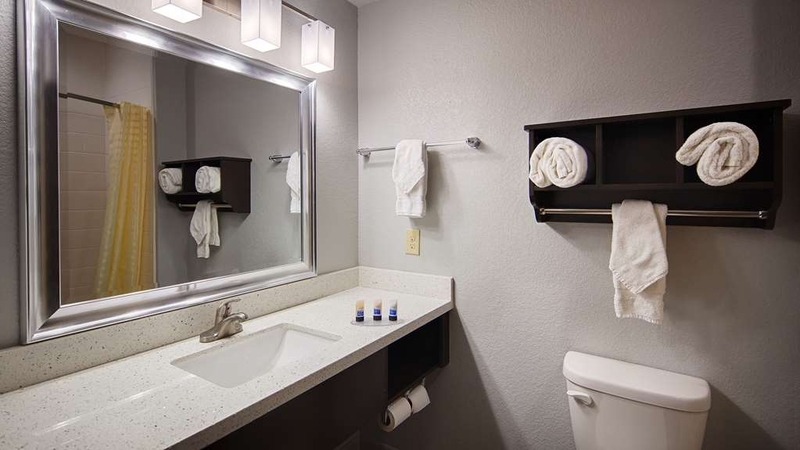 Willkommen im Best Western Plus® Lonestar Inn & Suites!Ganz gleich, ob Sie privat oder geschäftlich hier sind, Gäste unseres Hotels in Colorado City erleben beste Südstaaten-Gastlichkeit und genießen eine erstklassige Ausstattung. Das Rattlesnake Roundup ist eine beliebte Veranstaltung und bietet besonders viel Unterhaltung für Familien. 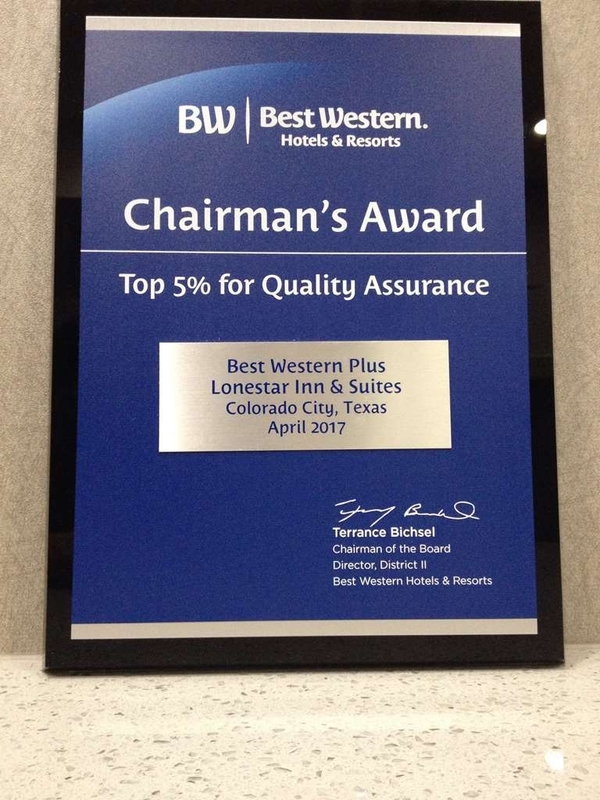 Das Best Western Plus ® Lonestar Inn & Suites ist jedoch insbesondere auf Unterkünfte für Geschäftsreisende spezialisiert. Mitarbeiter der American Wind Energy Association (AWEA®) und von Cline Shale Alliance gehören zu den Geschäftsreisenden, die regelmäßig bei uns zu Gast sind. Es gibt viele Parkmöglichkeiten für Wohnmobile und Lastwagen in unserem Hotel in Colorado City, und Fernfahrer sind bei uns herzlich willkommen. Auch für abenteuerlustige Wohnwagenbesitzer und Roadtrip-Liebhaber bieten wir geräumige und komfortable Unterkünfte. 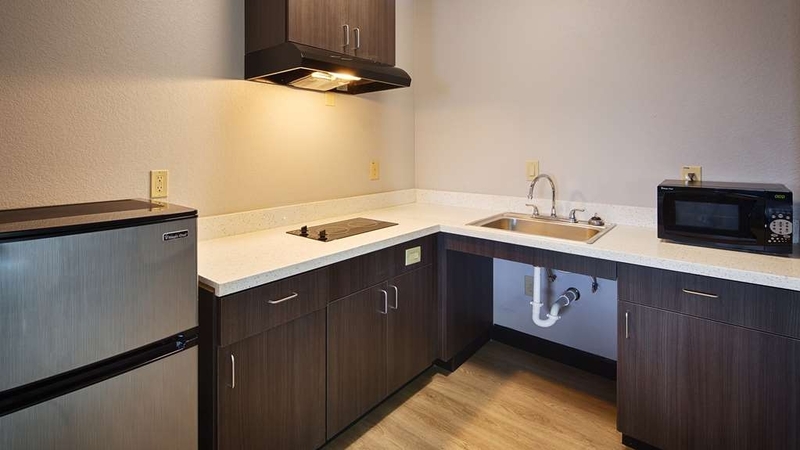 Unser kostenloses komplettes warmes Frühstück und das kostenlose drahtlose Internet (Wi-Fi) runden das Angebot unseres Hotels in Colorado City ab. Beginnen Sie jeden Morgen mit Tellern voller Butterwaffeln und Gebäckstücke. Außerdem servieren wir frisches Obst, eine Auswahl an Müslis und Cornflakes und Ihre Lieblingsjoghurts. Runden Sie die wichtigste Mahlzeit des Tages ab mit 100%igem Arabica-Kaffee und gekühlten Säften. Lake Colorado City State Park ist ein weiteres beliebtes Ausflugsziel, insbesondere in den Sommermonaten. Nutzen Sie die einmaligen Freizeitmöglichkeiten am Wasser und machen Sie eine Floßfahrt oder eine Bootstour, gehen Sie baden oder angeln. Der See ist ideal, um sich ein wenig abzukühlen. Allerdings bieten auch unsere kühlen und geräumigen Zimmer reichlich Entspannung. Für Gäste, die sich geschäftlich bei uns aufhalten sind, sind ein Business Center und ein Fitnessstudio in der Anlage verfügbar. So wird der Aufenthalt noch angenehmer. Können wir Ihre Reise noch angenehmer gestalten? Fragen Sie einfach. Wir werden alles daran setzen, Ihre Wünsche zu erfüllen. 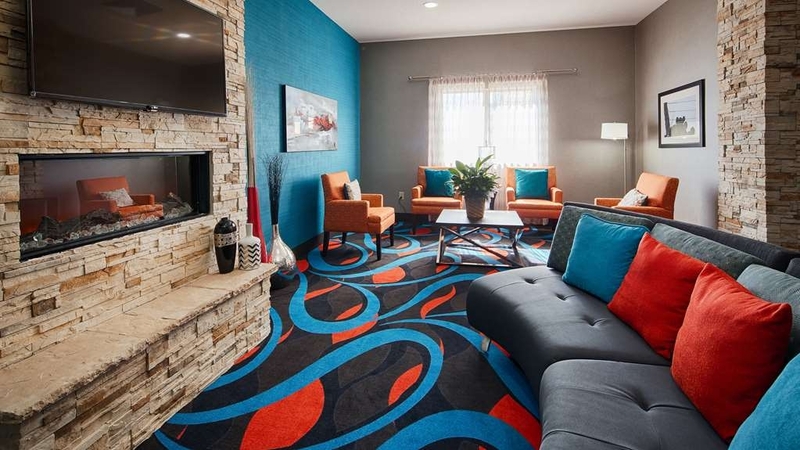 Reservieren Sie noch heute Ihr Zimmer im Best Western Plus® Lonestar Inn & Suites! I don't have one negative thing to say about my stay at Lonestar inn and suites. The staff went over and beyond, the room was very nice and the hotel was immaculate. It was a great experience and I highly recommend this hotel. "Great BW in western TX." 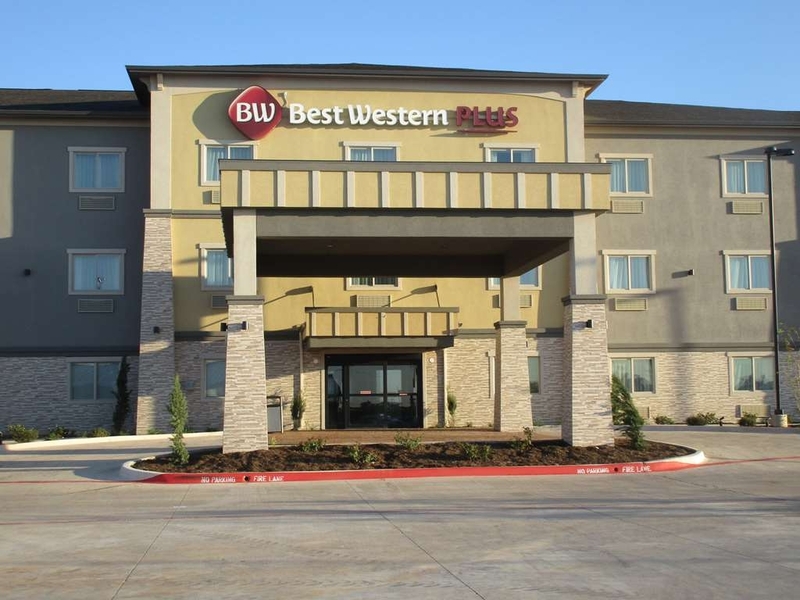 Great Best Western in western,TX, located along I 20. Cleaning issues were addressed immediately. Manager very helpful and prompt. Very fair pricing. Nice complementary breakfast with hot food, ( eggs , sausage). I will continue to use this hotel in the future. Was driving from Dallas to Phoenix and needed a place to sleep a little while. Was surprised to find a really nice hotel in a small town with friendly, professional service. Room was clean and tidy. I arrived late and there was Subway right in front of the hotel. Had a sandwich and good nights sleep. Dear Randy, Thank you so very much for your kind words about your experience while staying at our hotel! It was a sincere joy to have you as our guest as we look forward to your next stay with us!! Best Western Regards. This hotel is clean and very well maintained. The entire staff go out of their way to assist you in any way possible. Breakfast is always hot and ready to serve with no waiting. A top notch organization. Dear David, We are so pleased to hear that our exemplary staff always takes such excellent care of you and we greatly appreciate the wonderful, detailed, 5-star review! We hope you will get the chance to stay again, soon! 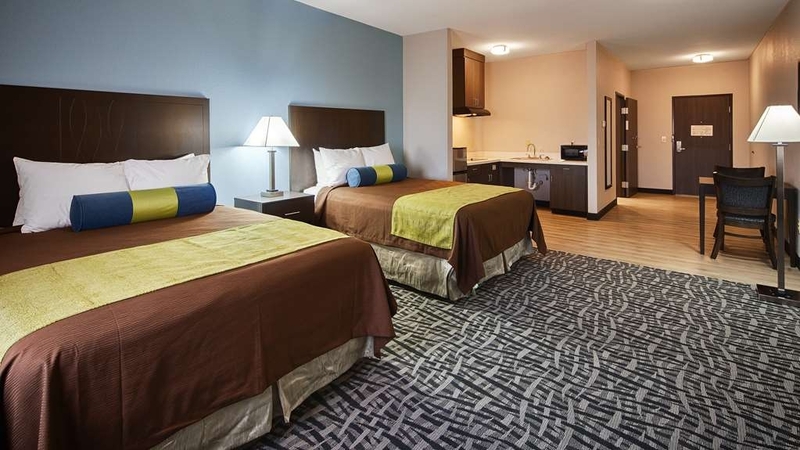 This is a fairly new hotel which is conveniently located just off the interstate. The beds are comfortable and large rooms. Nice breakfast with a variety. All of the staff are very friendly and helpful. "Best Western, Colorado City, Texas"
The hotel is fairly new, and could be really nice, the rooms are big and comfortable. However, the common areas are not cleaned well (see along the walls and doorways in the halls, and the elevator tracks for examples). 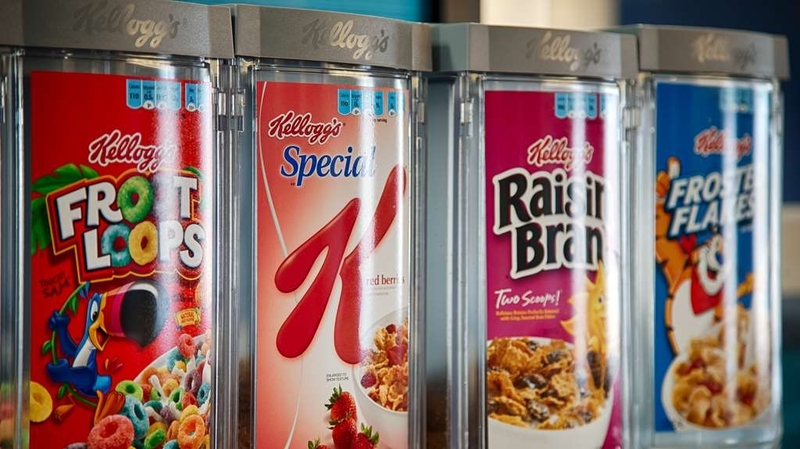 There is a free breakfast, but it also needs help .. coffee did not have a coffee smell or taste, (they should change brands or clean the equipment or whatever it takes). The cost of the stay was about 50% higher then in Abilene .. I understand this since Colorado City is kind of in the middle of nowhere. So, in summary; management/owner take notice and return the property to a place of pride. BW Plus Inn & Suites was a wonderful experience. Elegant and clean and comfortable room. Staff was top notch. Run by A.J. and his wife, Manisha. Rooms were very clean and comfortable. The breakfast was delicious and well presented. Was passing through and stayed for only one night but this appears to be a very new, clean hotel. My room was very comfortable and roomy. Breakfast was very good. Staff was nice. Will stay here again if ever through this way in the future. 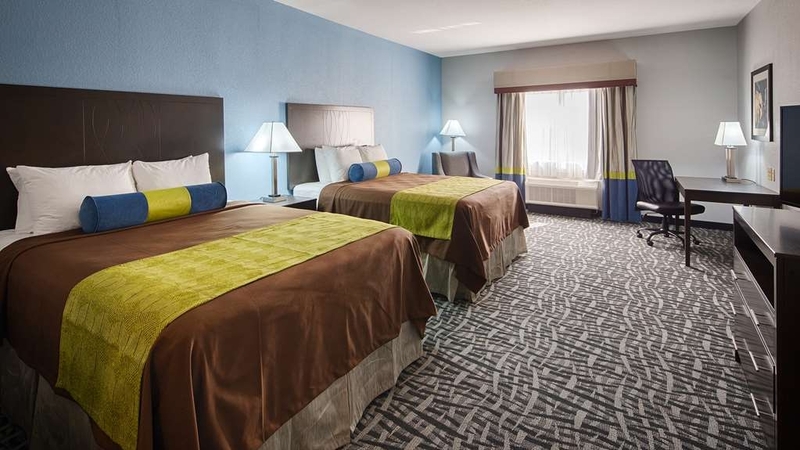 A new hotel with affordable prices and comfortable rooms. The check in was quick and all amenities were good. My only complaint is I had to write a minimum of two hundred characters to submit this review. Everything was PERFECT aside from wifi a bit slow (512 kbps on my speed test). Other hotels in the areas were significantly more expensive. 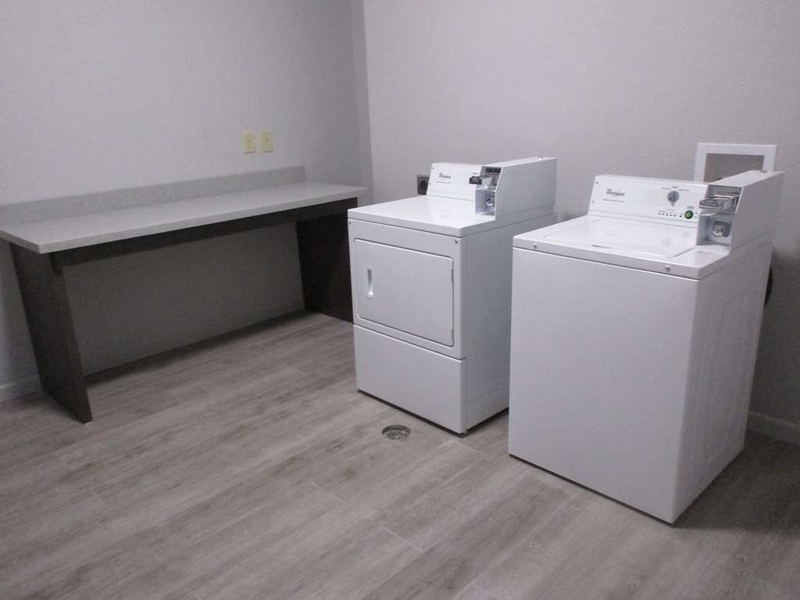 This facility is modern and updated. Rooms are clean. Staff was friendly. This may be the best hotel stay I've ever had. We were very happy. Dear Pinrn2018, Thank you for staying with us at the best western plus in Colorado city, Tx. We are so glad that you enjoyed your stay with us. So sorry that internet was bit slow. We have already taken some necessary steps to fix the issue. We hope to see you soon when you are in the area. Best Western Regards. "Ok for budget roadside inn." Arrived late & tired, I was told by the guy at the reception desk that my reservation, I made by phone with Best Western hrs. Earlier was for a 1st floor room by the elevator???? So for a quiet room I had to pay a little more. HUH, I have traveled all over the world & never heard that one! The TV didn't work, had to get another remote control. Also WiFi didn't work in this higher priced room. It worked on the elevator & lobby. Gave up on internet, I was very tired from a very long drive. Bathroom needed a little TLC. Room was fine. I was surprised that the manager would argue that the WiFi worked in all the rooms around mine. He needs a course in Customer Service, you don't argue with the customer. He ask me how my stay was & I told him, yet he argued with me that the WiFi worked ?? Breakfast was typical of all the roadside inns, blah. Too many hotels on I-10, I will probably pass this one up next time. All the other Best Western hotels were good on my cross country trip. The best there is and then some, wonderful. Gentlemen at front desk went far and beyond for us. Helped us with computer, and accessing our e-mail. Took lots of unnecessary stress off of us. Can't say enough about how great he was. Beautiful, clean rooms, comfortable beds. Made our stay exceptional. Thank you for all your services again. Much appreciated; God Bless you all...May you have a wonderful holiday & a Happy New Year. Will defininately stay with you again in our future travels. Hotel was still new and everything was at ease. Nice workers. Room was comfy and enjoyable. Everything was good but breakfast wasn't that great. The eggs had liquid sitting at the bottom of the pan shouldn't be there. It tasted like wet eggs. That needs to be improved. Need more yogurt in the little refrig. The price was higher than the other hotels around. 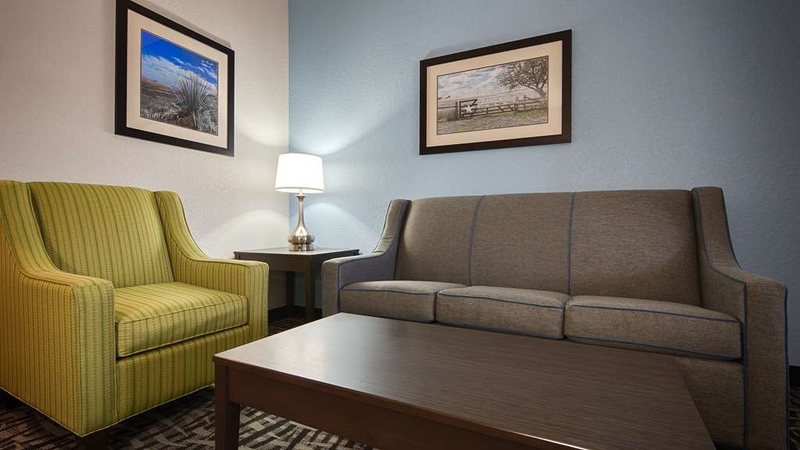 "Best Western Colorado City, Texas"
Service, hotel stay , rooms, breakfast were all excellent. I enjoyed my stay at this hotel and would recommend it. I will stay here again for future trips to Colorado City Texas. This was my first stay at a Best Western and I was impressed. "Stay could have been better." Very nice new hotel. The problem was the pool was disgusting caked in algae and smelled horrible. Informed front desk and received subpar response. Rooms were very clean and comfortable beds. Not being able to use pool ruined the stay for me and the family. David M, Thank you very much for reviewing our property. We aim to exceed your expectations and we sincerely apologize that this was not met on your recent stay with us. Due to the bad weather, we were not able to maintain the pool. We will use your feedback to better our overall customer experience. We hope that you give us the opportunity to welcome you back in the near future. Thank you again. 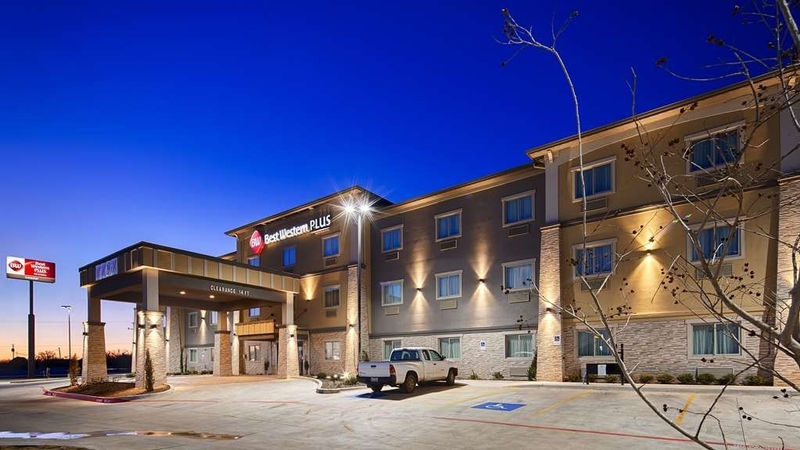 "Awesome stay at Best Western Colorado City TX"
Never looked forward to staying in a hotel in Colorado City Tx but now I have my favorite location as far as a hotel. When we pulled up at 9pm after a 5 hour drive we were exhausted. The BW was brand new outside and inside. ( 8 months old) The staff were friendly and helpful. The lobby was clean and decorated. The rooms were inviting and clean. The bed was very comfortable. The air conditioner was amazing and it was 100 plus outside. There was a small pool outside by our room but the building was well insulated and couldn't here the kids outside swimming and jumping. The breakfast had everything you would hope for except bacon but did have Texas waffles. The staff allowed us a late checkout. I would give this hotel a 10 out of 10. This has been the best experience in a motel that I have had in years. The employees go out of their way to help. The entire hotel is spotless, and their breakfast is amazing. Will go there whenever we are in the area. Dear 436loraineb, Thank you for staying at our Brand New Best Western Plus in Colorado City and giving us the perfect score. We are so sorry about the circumstances that brought you here, but we are glad you enjoyed your stay. Our employees goes above and beyond to take care of all the guest's needs every time. We will be waiting for you whenever you are in the area. "Nice Stop Along the Way"
This is a good stopping point along our Spring Break trip. The town has several new hotels to choose from. This hotel is owned/managed by a very attentive family with a long history in the local hotel business. The room was nicely done. Breakfast was adequate for travel. The desk clerk recognized my sister's voice from when she made the reservations weeks before. That doesn't happen often. It was a good stay. 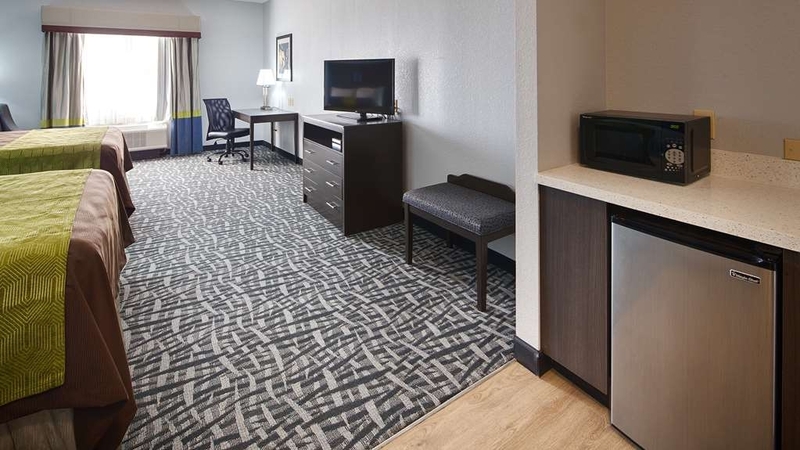 Dear TxMusicTraveler, Thank you for staying at our BRAND NEW BEST WESTERN PLUS. We appreciate your response and hope to see you again some time soon. "A welcome respite on a long trip"
A great place to stop and we would definitely stay here again The staff opened the dining area to our group when we returned early from a family gathering. It was much appreciated. 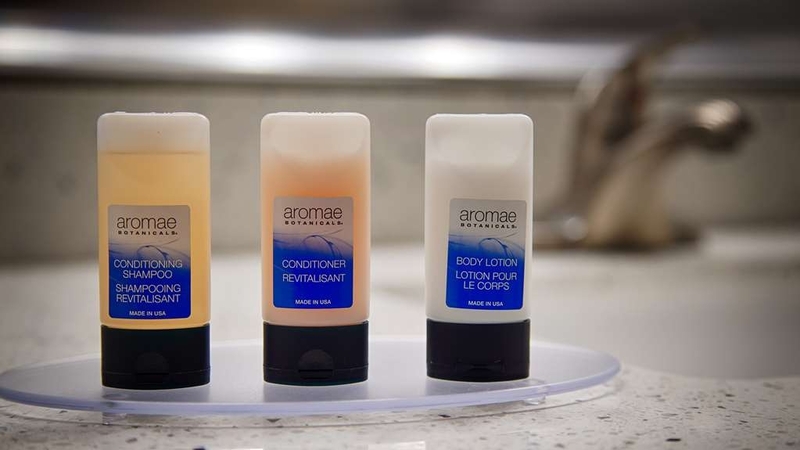 This was the type of service we wish all hotels offered. We would definitely stay here again! 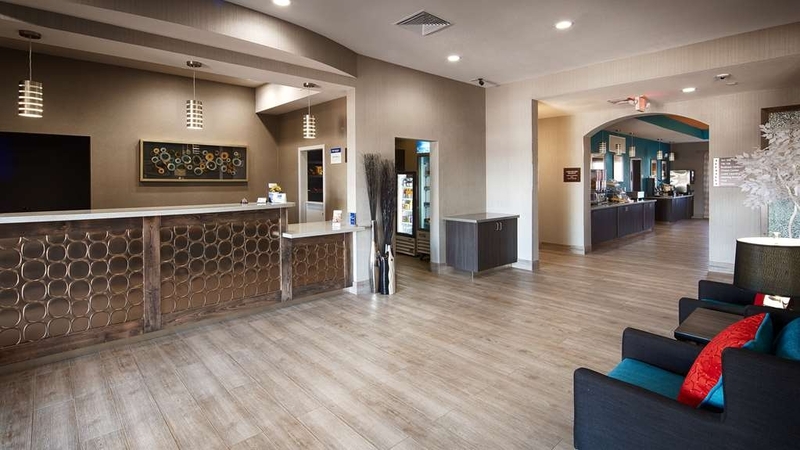 Thank you for staying at our BRAND NEW BEST WESTERN PLUS IN COLORADO CITY TX. ''Customer satisfaction'' is our number one priority and that is what we strive for. We will be looking forward to see you soon. Best regards, Best Western Plus. 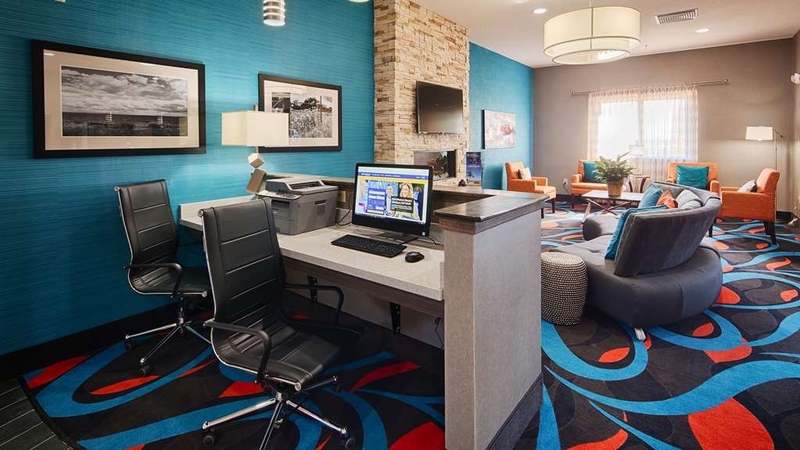 NicolepF8998WN On behalf of our entire staff at New Best Western Plus in Colorado City TX i would like to thank you for your wonderful feedback. We strive to provide each of our guests a very pleasant stay and warming environment to enjoy. If you ever pass through Colorado City, Tx make sure you stay with us! "Food could have been better"
Wifi was fantastic. Staff was very polite and helpful. This is a family run establishment and their kids were there helping as well. Very professional. Towels available at pool. Pool was fun, it had colored lights in the pool that changed, the kids got a kick out of that. Breakfast items could have been better quality. I would stay again. 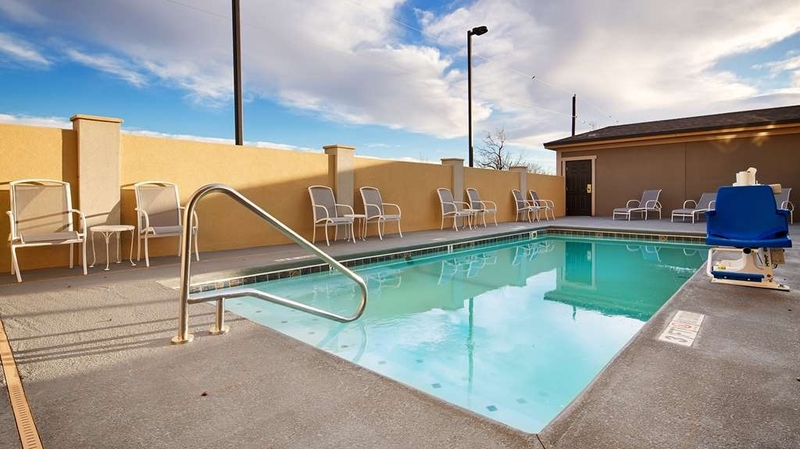 New hotel, clean, nice staff, small outdoor pool, pet friendly, plenty of parking and quiet. Would not hesitate to stay there again if I am in Colorado City, Texas! Speedy check in and check out. Staff was very friendly! Dear Ashton, We are appreciative of your most recent visit with us at Best Western Plus Colorado City and for taking the time to share your feedback regarding your stay at our hotel. Your feedback is vital in our effort to continually improve. I'm glad to hear you enjoyed your stay and hope to see you during your next visit to Colorado City. Upon arrival, there was plenty of parking. This hotel is only six months old. It took all of two minutes for the front desk manager to check me into my room. I asked if this property had USA Today newspapers for the guests. I was informed that there were no newspapers available because there was a reliable delivery issue to such a small town. But the front desk manager stated that he would see to it that a newspaper was obtained somewhere in the area and given to me in the morning. I thought to myself, "Yeah, right." When I got to my room, I found it to be clean and quiet. In the morning, I used the on-site exercise facility. All the equipment worked well. After taking a shower, I went to the breakfast room at 8:45 a.m. A lady come over to me while I was eating and asked if I was the person who wanted a newspaper. I replied in the affirmative, and she handed me a current USA Today newspaper. To say the least, I was amazed that the management would go out of its way to do this task for me. The lady also said I could take my time with breakfast, even though it was suppose to close at 9:00 a.m. I ate a hearty full meal and finished at 9:30 a.m. The check out took about one minute. 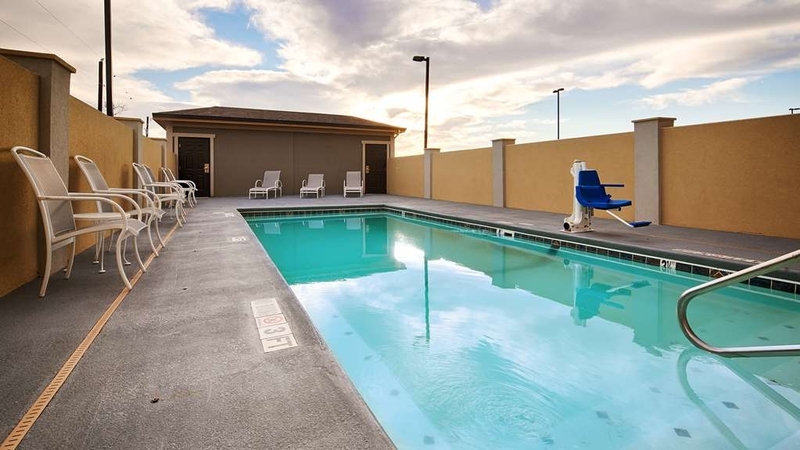 Being a Best Western diamond elite member, having stayed over 700 times at various Best Western properties, I gladly gave this hotel a perfect (and rare) 10 out of 10 rating in my review of it to Best Western corporate. This hotel is run by a family who try to excel in their relationship with their guests. I wish them the best, and highly recommend the Best Western Plus Lonestar Inn & Suites located in Colorado City, Texas. 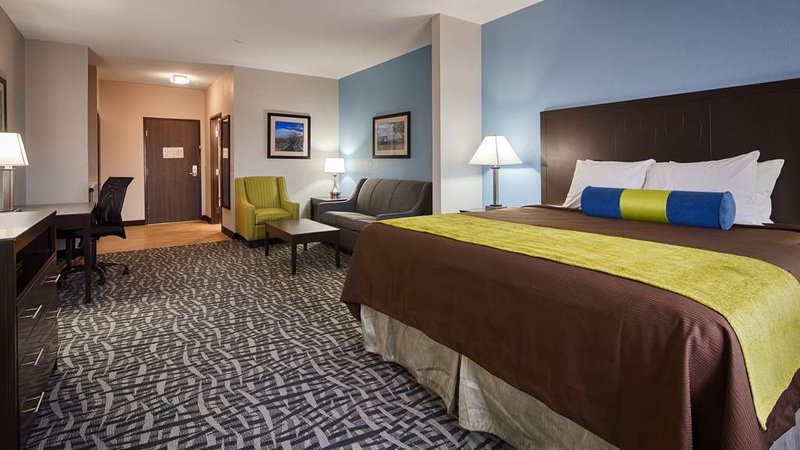 Thank you MrLorin for your review of the THE BRAND NEW BEST WESTERN PLUS IN COLORADO CITY. We are honored to have had you as our guest and we are pleased that you enjoyed your time with us. Please know that our team takes great pride in the work that we do and your acknowledgement of our efforts means the world to us. Your kind words will be shared with the team to reassure them that our guests are taking note. We will let breakfast server lady know that you shared a special "shout out" about her service. She, no doubt, will be thrilled. We look forward to your return to Colorado City and to the Best Western Plus so that we may thank you in person. Fairly new hotel with lots of potential for the area. However, they are cutting corners and compromising quality. Unpleasant smell in elevator and halls. Air conditioning did not appear to be on in lobby or hallways. Upon returning to the room later in the day, it was discovered staff had turned the air conditioner off and the room temp was in the 80's. A bug, hair and stained linens were found in a bed as well as dirty spill marks on the bathroom floor. Breakfast was minimal. Sausage, biscuits and eggs were cold, pastry was stale and coffee was the equivalent of lightly colored water. Hoping more attention to detail will be given so this location will thrive. Dear Milene, Thank you for taking the time to review our hotel. We strive to provide "5 star" service and accommodations and apologize we did not exceed your expectations. We look forward to seeing you again soon when your work brings you back to Colorado City. Please let any of our staff know if there is anything we can do to make your stays more enjoyable. Lance169, We are always hard at work to make sure each stay is the best experience we can provide to each and every one of our guests. We'll see you again soon!! This hotel was clean and new. It has only been open for a few months. It has a traditional breakfast; muffins, Texas waffle,scrambled eggs, sausage, cereal, fresh apples, and bananas. The managers were friendly and helpful. We arrived late and they let us park our moving truck with car trailer on the property at the end. 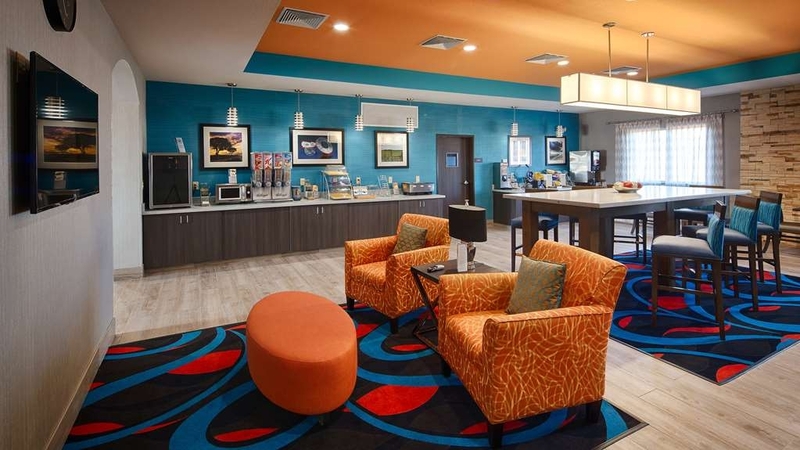 "Best deal on I-20 between Dallas and El Paso"
This brand new Best Western Plus is flawless and $72 a night. The staff is attentive, professional, and truly make you feel welcome. Great breakfast, great room, great price. Spread the word. 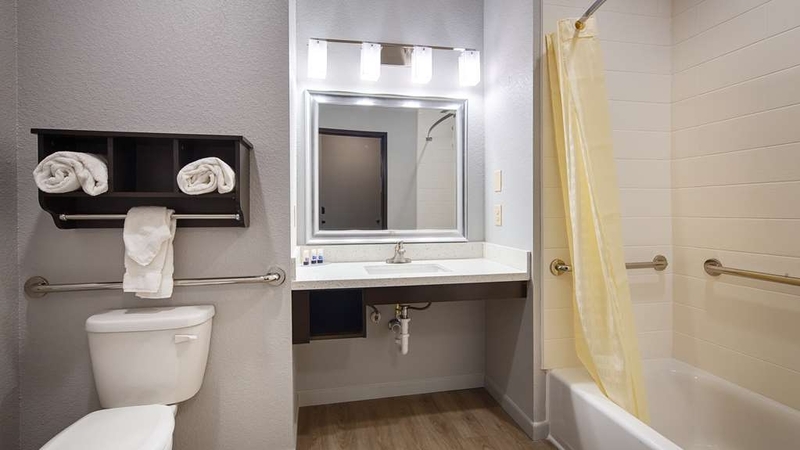 The hotel didn't have many people, and I want to make sure it does well because I will go there every time instead of paying twice that price in Abilene or the Permian Basin when I travel in West Texas. Stayed here on trip to Colorado City. It is where I grew up and went back to visit friends and spend leisure weekend away from home. Motel was very clean and personnel working at motel were very courteous and made our stay very good. Motel was reasonably priced and breakfast was great with many choices. Will definitely stay here again. Dear Ricky, Thank you for staying with us at our ''BRAND NEW BEST WESTERN PLUS'' in Colorado City and thanks again for taking the time to leave us a great review and a perfect score! We are so pleased that we were able to exceed your expectations of service. We look forward to providing you with yet another exceptional stay on your next trip to Colorado City! Best regards, A J. General Manager BEST WESTERN PLUS COLORADO CITY TX. I was so impressed and excited about having such a wonderful place to stay in such a small town. My experience was 5 star! No competition in the vicinity. Often, staying in small towns, I have to do without my workout, but this facility did not disappoint. Additionally, the staff was over the top and genuinely interested in my satisfaction. "overnight at the best western"
very clean and very new ! pet friendly a plus! bed was great nice and firm . The dining room decor was a bit too shiny for me mirror and metallics but the dining area itself was spacious and they had a lovely continental breakfast. I had a great experience with the Best Western from the booking to the end. The handicapped room was large and very accessible. Staff was warm and welcoming. The manager even remembered my voice from me calling and making the reservations. The breakfast was a bit sparse for a Best Western Plus but the accommodations made up for it. I will definitely consider staying here again. Thank you for taking the time to leave us a great review and a perfect score! We are so pleased that we were able to exceed your expectations of service. I will take the time to share this with my staff as a form of encouragement to continue in their efforts. We look forward to providing you with yet another exceptional stay on your next trip to Colorado City. Hotel was a welcome sight on a long road trip. Hotel was new and all of the beds, linens and bath towels were great. Hotel staff were very friendly and helpful. Would definitely recommend this hotel to anyone. We were in town for a family funeral & not a leisure trip. The staff was very helpful but did not seem to know area very well. This particular location was opened 4 months ago & seemed to be doing quite well. Our room was nice & it had everything we needed. 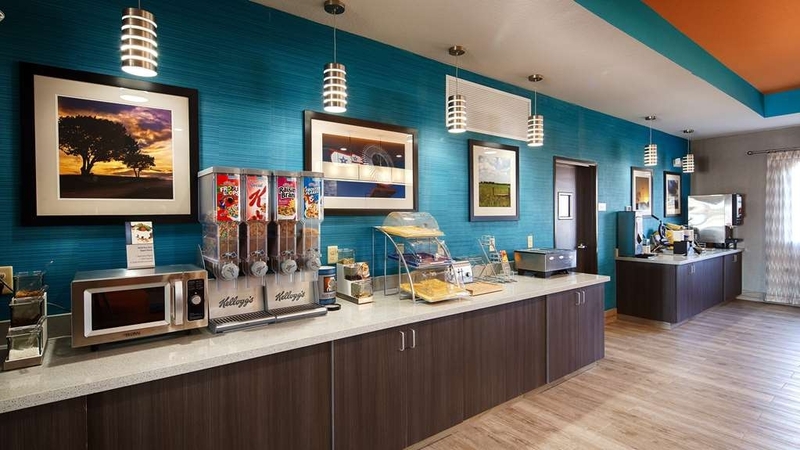 Brand new Best Western on I20 - great rooms, easy access, exceptionally clean and a better than average breakfast. 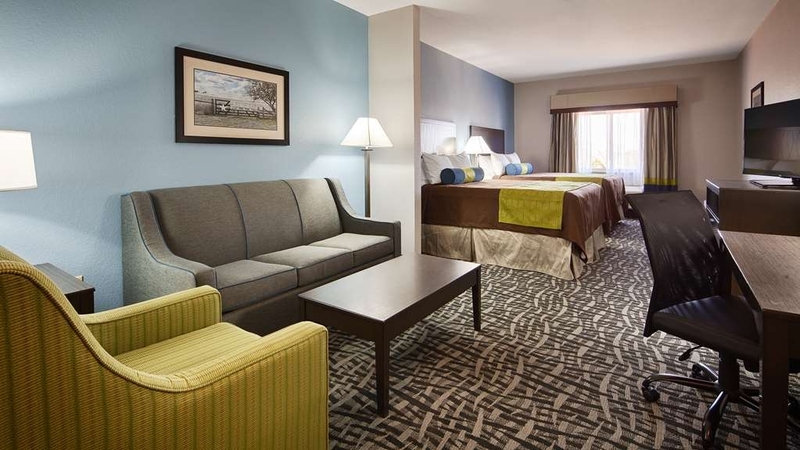 40+ inch TV's, great king beds - lots of room in the suites! 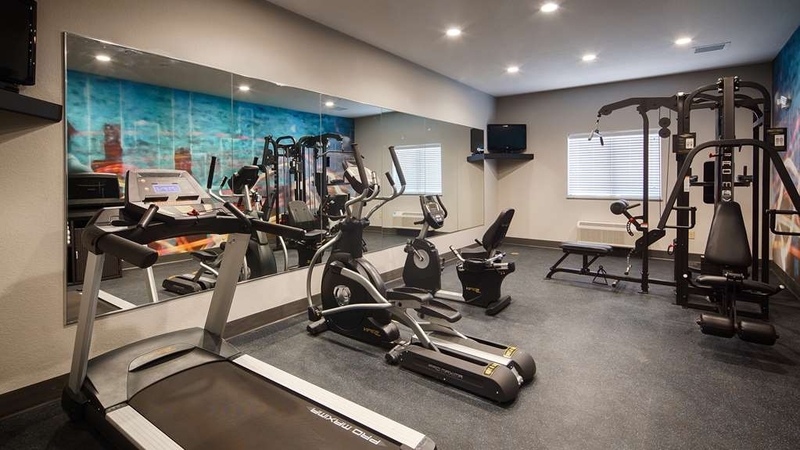 Fitness center, pool and laundry facilities. Ask for AJ tour - he's a great host!